It's that time of year. Families across Europe gather to cook warm meals during the winter holidays. But are Europeans searching for their national recipes when preparing for the big meal—or do we also take inspiration from neighbouring countries? In collaboration with Google, Euronews takes a look at what some countries traditionally eat for Christmas dinner and recipe searches trending* on Google. What does Europe eat for Christmas and New Year’s Eve ? Poultry, such as turkey and goose, is served throughout the European continent during the holiday season. Sausages like black pudding, pork, and white pudding are also popular in Luxembourg, Germany, and Belgium. In the UK, poultry or other meats are served with chestnut stuffing, pigs in blankets, roasted vegetables, bread and cranberry sauce, and gravy. Desserts usually include the famous dried fruits and brandy Christmas pudding, mince pies, the creamy custard-based trifle and the chocolate yule log. Across the English channel, the French typically eat foie gras and raw oysters then capon with chestnuts and drink champagne for Christmas. Like their British neighbours, France also eats a chocolate cake in the shape of a log. The Germans, however, traditionally eat potato salad with sausages, and goose with a winter salad consisting of red cabbage and the Alpine cheese raclette or fondue. To the south, an Italian-style Christmas means seafood, crostini, turkey, pasta, and veal or ox. 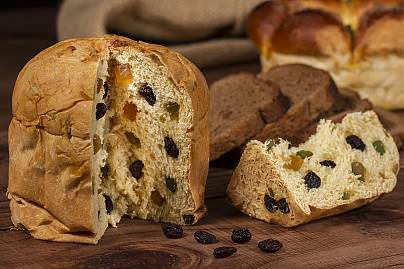 The famous Italian sweet bread, panettone is served along with Italian nougat. 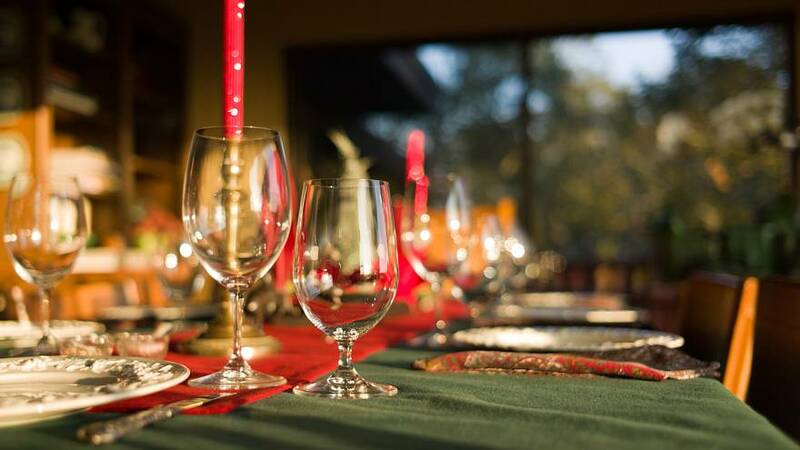 A Spanish Christmas table will look very similar to the Italian one. The traditional sweets like nougat, marzipan, and shortbread cookies with dried fruits and nuts share an Arabic heritage and are eaten everywhere during festivities. 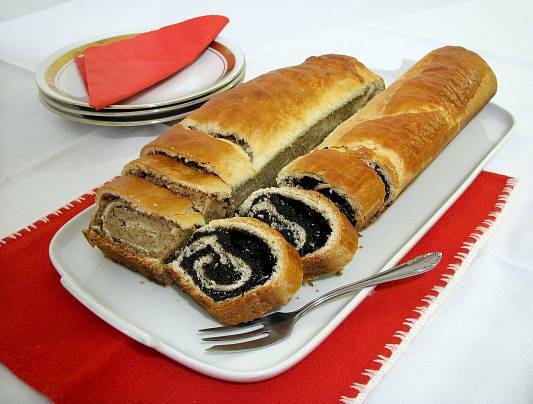 To the east, Hungarians tend to eat fish-based dishes as their main course with stuffed cabbage as a side dish while keeping to the famous poppy and walnut sweet roll, gingerbread cookies, and Hungarian chocolate cake for dessert. Unlike other European countries, Hungary has traditional dishes for New Year’s Eve, which include salty cakes, roasted pig, lentil soup, and sausage. But you’ll never catch a Hungarian eating poultry for New Year’s Eve because chickens are said to “scratch the good luck”. In Greece, different recipes based on pork and turkey are prepared according to the region. An array of traditional sweets also vary according to the regions. Greeks also prepare Vasilopita, a traditional New Year’s cake on December 31. But do people search their traditional recipes before the Christmas dinner rush? Data collected by Google shows that people in the countries gathered above don’t always search for their traditional Christmas recipes. Instead, they like to borrow recipes from neighbouring countries or other sources altogether. So how much cross-border inspiration is incorporated into dishes for Christmas dinner? Euronews takes a look. This year's most-searched recipe in the countries surveyed was the mascarpone and coffee-based Tiramisu. The classic Italian dessert made it into the **most fast-rising searches** for Italy, Spain, and Belgium. The land of bullfighters and flamenco experiments the most with foreign dishes in the run-up to Christmas. Spanish families are inspired by Italians for dessert, with the most-searched sweet treat being tiramisu. 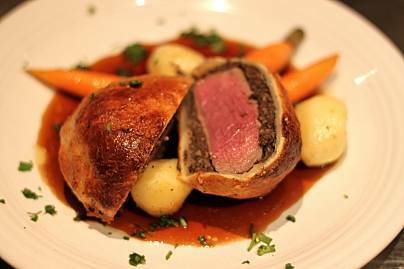 For savoury dishes, the Spanish prefer searching recipes for French delicacies like Burbot (fish) and the British beef wellington. Luxembourgers also look for inspiration outside their national cuisine during Christmastime. The small European country takes a liking to German treats like the star cinnamon biscuits called zimtsterne and the German almond paste bread, Stollen. However, for savoury dishes, Luxembourgers are interested in the Hungarian goulash and the Mediterranean pita bread. 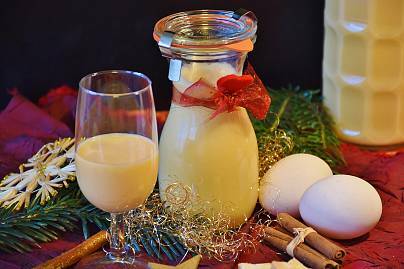 Germans don’t seem to go outside of tradition for savoury meals but do enjoy the traditional Dutch eggnog called advocaat and the French classic creme brulee for a sweet treat. The Belgians also borrow desserts from other European countries, particularly tiramisu and chocolate mousse recipes. The most popular savoury search was wild boar stew recipe, a typical Italian dish from Tuscany known as Spezzatino di Cinghiale. Contrary to the Germans, the British stick to mince pie for dessert but look outside of the island’s classics for side dishes—with red cabbage recipes being a top search. Perhaps the British are getting their inspiration from the Germans, who typically eat a red cabbage side dish called rotkohl. Hungarians also don’t stray too far from tradition during the holiday season. However, the country's top searched recipe was crusted cheese sticks, which is not traditionally Hungarian. The eastern European country had an interest for coconut balls for Christmas. Out of all the countries studied, France and Greece are the only ones who stick to national dishes, whether sweet or savoury, when searching recipes in the run-up to the holidays. Where else are countries getting inspiration from? 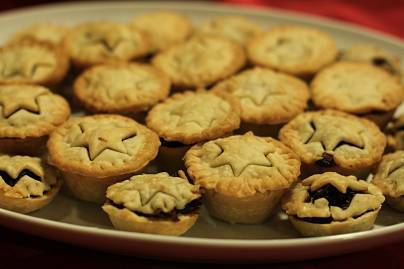 According to Google's figures, countries not only rely on their neighbours for Christmas dish ideas but also on supermarkets and TV channels. Belgians are the main ones to look towards other sources for inspiration. Two of the main searches for the western European country were recipe ideas from the discount supermarket chain Aldi and cocktail ideas from the Belgian TV channel Njam. Luxembourg is second in rank when it comes to getting inspiration from other sources. The Luxembourgers apparently rely on steamers for dish ideas. And what about generic searches? Are there any? Yes, the country that wins at generic searches is Italy, with three out of five searches being “recipes for New Year’s Eve, Christmas recipes, and recipes for New Year”. The UK also looks for ideas with what to do with “leftover turkey” from Christmas dinner. Google gathered this data by searching the word "recipe" and includes the most fast-rising searches at the end of the year. The results do not include searches without the word recipe.